The Cropsies are back and they're bigger than ever! Rancid Raccoon is up to his old tricks again. Ruining the harmony of rural life by winning all of the Country Shows and claiming the prize money for his sneaky self. The Farm Heroes know he's cheating and it's up to you to help them defeat him. Help them in their mission to grow the biggest Super Cropsies, win the Country Show and stop Rancid ruining the fun for everyone. 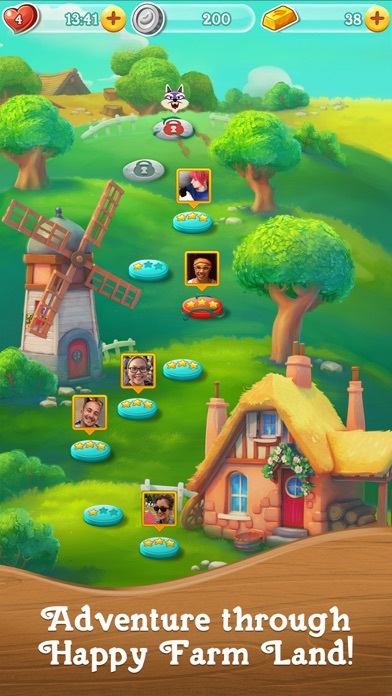 Move through this Farmtastic Saga while collecting as many Cropsies as you can! You can help Fidget the squirrel gather his nuts, grow some Super Cropsies and meet a host of exciting characters along the way! But be careful, Rancid the Raccoon is trying to stop you and he'll pop up where you least expect him... Take on this Croptastic Saga alone or play with friends to see who can get the highest score! Farm Heroes Super Saga features: • Exciting new Country Show! See who can grow the biggest Cropsie! 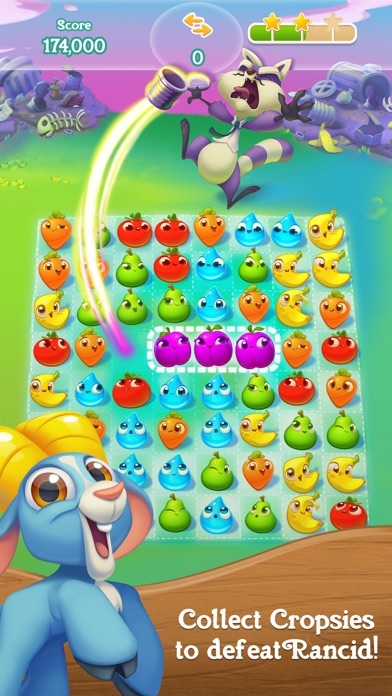 • Collect Cropsies in hundreds of amazing new game levels • Switcher game that is easy and fun to play, yet challenging to fully master • Farmtastic game modes and new super sized Cropsies! • Have the best and biggest Super Cropsies in all the land to win the Country Show! • A host of new Heroes, but watch out for Rancid Raccoon, he causes mischief where you least expect! 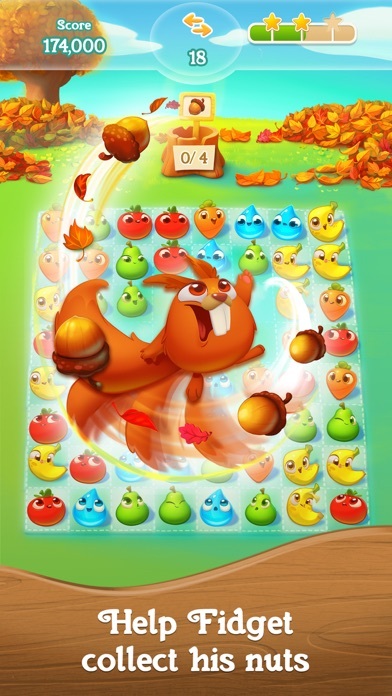 • You can connect to Facebook to compare scores with your friends on leaderboards • Easily sync the matching game between mobile and tablet devices and unlock the full game features when connected to the internet Take on Rancid Raccoon in this Croptastic puzzle game and stop his sneaky plans to win the Country Show! Help the Farm Heroes grow the best and biggest Super Cropsie in the land! 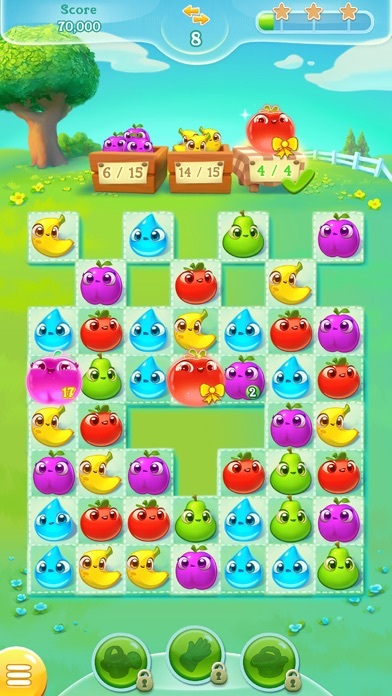 Download Farm Heroes Super Saga today and start playing this fun matching game! Farm Heroes Super Saga is completely free to play but some optional in-game items will require payment. You can turn off the payment feature by disabling in-app purchases in your device’s settings. Visit https://care.king.com/ if you need help! 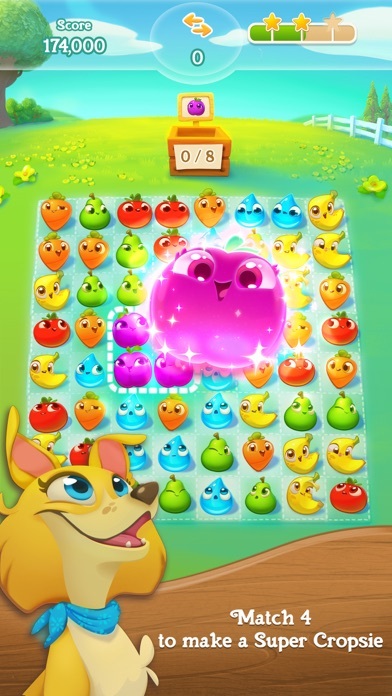 Follow us to get news and updates; https://www.facebook.com/FarmHeroesSuperSaga/ https://twitter.com/farmheroessuper https://www.youtube.com/user/FarmHeroesOfficial https://www.instagram.com/farmheroessuper/ From the makers of Candy Crush Saga. 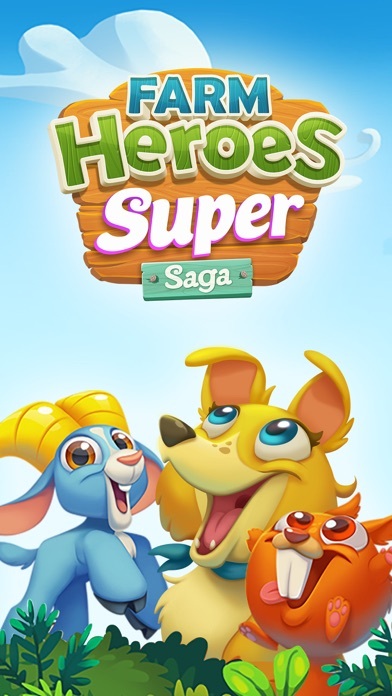 Have fun playing Farm Heroes Super Saga! The animation is painfully slow. One brief day it was turbo charged fast and that was so much better, but then it went back to painfully slow again. Also it gets super frustrating and no longer fun on some levels, where you feel there’s no way to win. To the point you just consider deleting it. The game also cheats, randomly removing cropsies you had planned for your next move. This is the ONLY game that does not give players rewards that can be to used to continue playing the level, I am talking about gold bars. Very stingy and I had spent my share of money on bars. Not playing. Done. Me encanta este juego, muy entretenido y sobre todo me ayuda a mi sistema motor. Se lo recomiendo a cualquiera que desee disfrutar de un buen juego. The levels are fun! Seems likely you gotta use extras to complete! And before you know it you’re spending $$$$ Give me Bigger incentives to play!! !